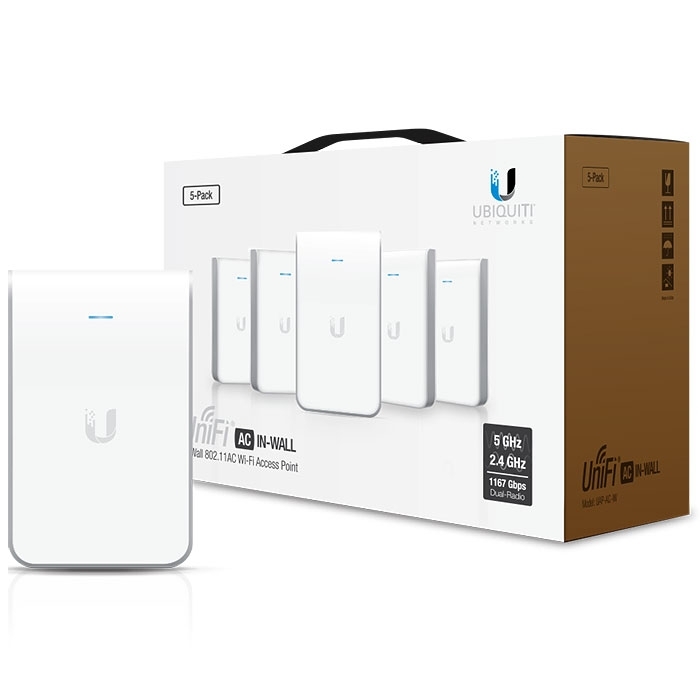 The UniFi AC In-Wall AP transforms an Ethernet wall connection into a dual-band 802.11AC Wi-Fi Access Point. It features two Gigabit Ethernet ports, one of which delivers PoE to power and connect an 802.3af device to the network. The UniFi AC In-Wall AP provides simultaneous, dual-band, 2x2 MIMO technology. 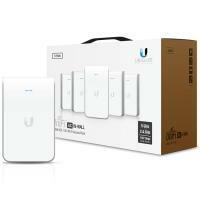 We recommend powering the UniFi AC In-Wall AP with the UniFi PoE Switch as PoE adapters are not included in the single- and five-packs.